The fact that the Ford Figo is a market success story is now well known. Adding another feather to its cap is the fact that the car has sold over 100,000 units since it was introduced in the Indian market. Ford India has kicked off a ‘Bharat Yatra’ in order to celebrate the fact that the Figo has sold over 100,000 units in just 15 months. The popular hatchback, which incidentally was the ZigWheels Car of The Year 2010, will be showcased across the country in a 100 day road show which will give prospective customers a chance to experience the car first hand. The innovative Ford Figo ‘Bharat Yatra’ road show, will visit 1000 towns in 18 states across the country. The plan is to make further inroads to tier II cities as well as smaller towns. The Figo’s popularity is mainly driven by the fact that the car is an amazing value for money product that is well suited for India. 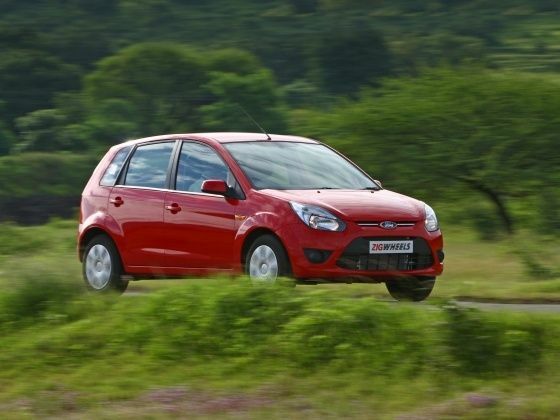 Ford India worked hard to ensure that the Figo is easy on the pocket in terms of ownership experience and this gamble has paid off rather well. Available with both petrol and diesel engine options, the Figo has proved to be an engaging car to drive. It’s spacious, well proportioned and well kitted out. Further to this, Ford India managed to price it rather aggressively therefore making it a formidable package and a top contender in the rather cut throat premium hatchback category.